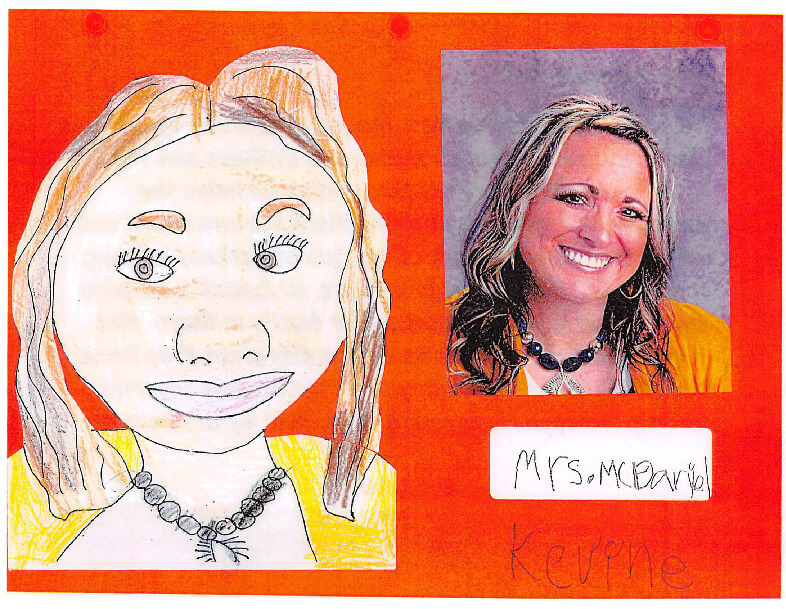 On this page you will find our current Kearns campus office, special-ed, discovery, kitchen, and other staff. 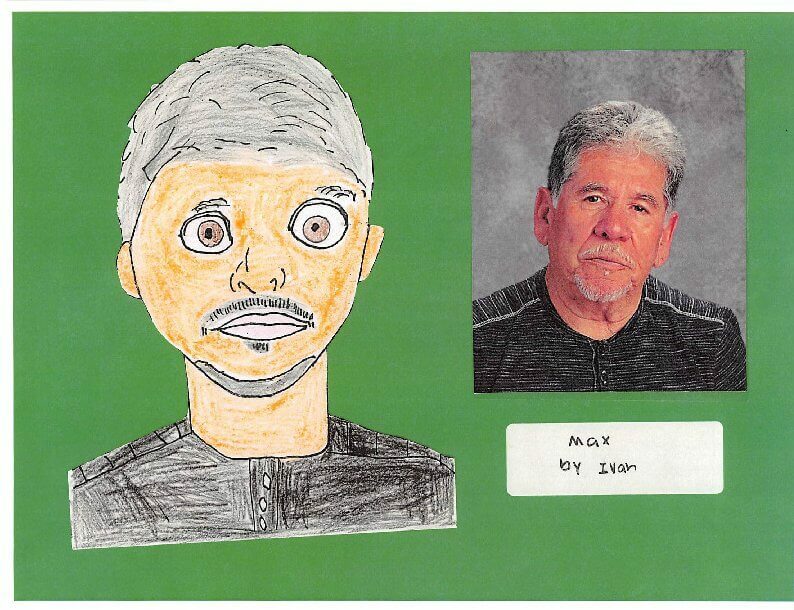 The pictures and biographies here were created by our 2017-18 second-grade class! Ms. Esther Blackwell has worked in education for over 20 years. 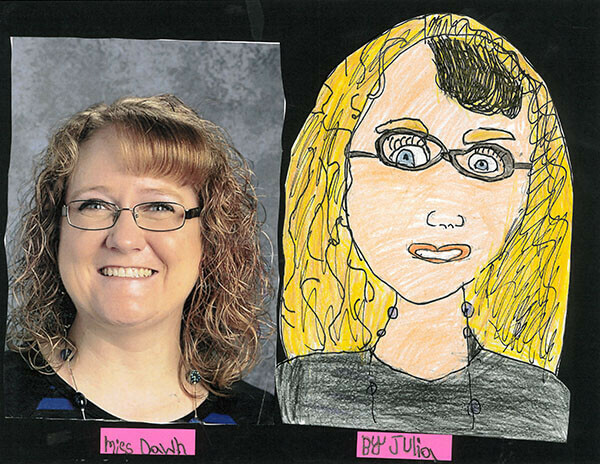 She has taught students in all grades and covered many subjects. 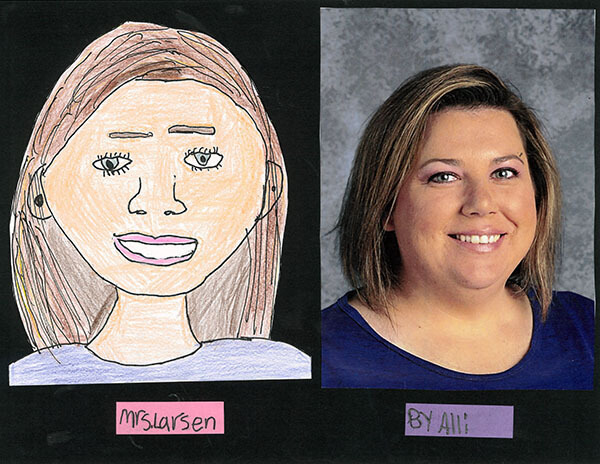 She spent the largest amount of time working with students in grades 7-10, teaching Social Studies and English Language Arts which she thoroughly enjoyed! Ms. Esther attended the University of Utah and Western Governors University and this is the 8th year that Ms. Esther has been a school administrator. It is hard for Ms. Esther to pick a favorite Design Principle because she loves them all, however one that particularly stands out and drew her to work at Entheos, is “Service and Compassion”. 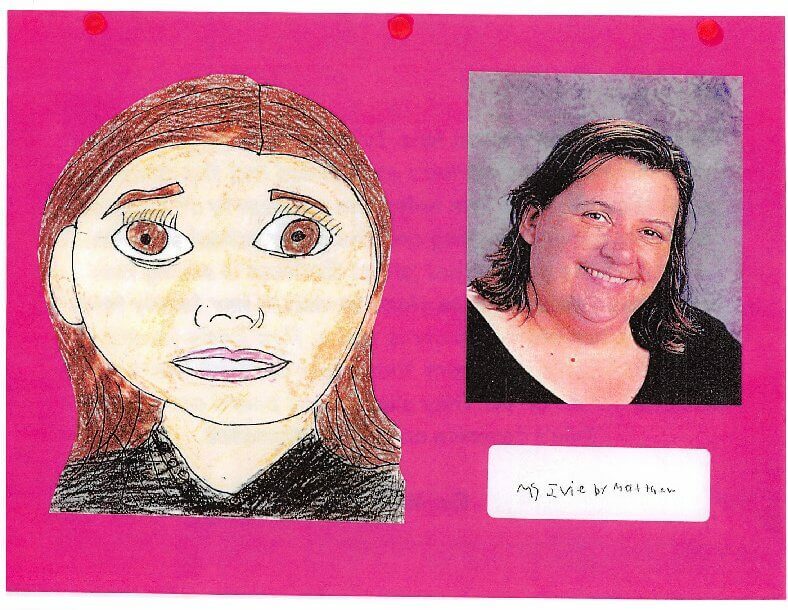 Outside of school, Ms. Esther loves hiking and exploring, gardening, and spending time with family. Mrs. Dina works at Entheos Academy. She is the assistant director. She helps the director run the school. She helps students learn. Her favorite Design Principle at Entheos is Solitude and Reflection. This means I need time to be with myself. Mrs. Dina likes this Design Principle because it gives us time to think about what we have learned. Mrs. Dina says that the thing she loves most about Entheos is the service learning. Her favorite hobbies are reading and watching movies. Mrs. Dina says that her favorite author is Jane Austen. Someday she hopes to travel to Paris for a vacation because she loves French food. She attended University of Utah and University of Nevada, Reno. We are so glad to have Mrs. Dina here at Entheos. Miss Dawn works at Entheos Academy. Miss Dawn keeps track of Mr. Robin’s calendar. She also takes care of students. 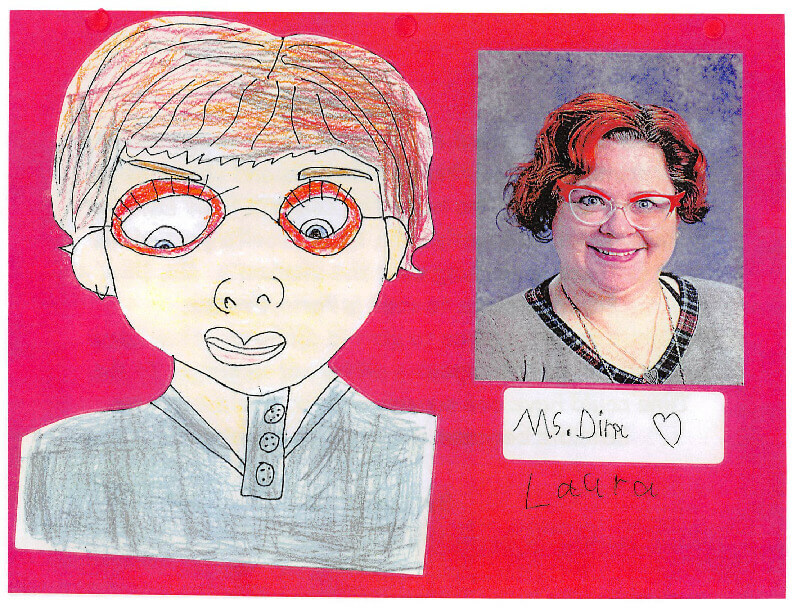 Miss Dawn’s favorite Design Principle is The Responsibility for Learning. This means I am responsible for my learning and I help others. She loves learning and she thinks it’s really important to learn all we can. We can help each other be our best selves. She loves everything about Entheos. Her favorite hobbies are quilting and she loves camping. Her favorite book is Sarah Eden. Someday she wants to go to the Great Redwoods for a vacation because she wants to see the great trees and the ocean. Miss Dawn went to BYU Idaho and LDS Business College. We are so glad to have Miss Dawn here at Entheos. Ms. Misty Startup works at Entheos Academy. She is the front office Secretary. Her favorite design principle is The Having of Wonderful Ideas. She loves to watch the students do new things. Ms. Startup says that the thing she loves most about Entheos is talking to the parents that come into the school. 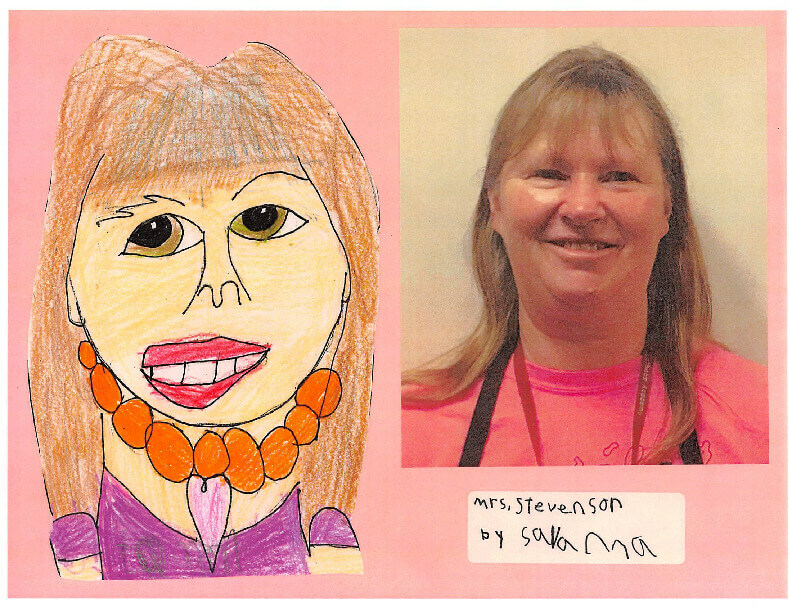 She also likes to read and do crafts as she spends time with her family. She says that Jodi Picoult is her favorite author. Someday Ms. Startup hopes to travel to Washington D.C. with her family. She wants to learn and see all of the interesting things that are there. It is important to make goals and to follow your dreams. She attended Weber State University and Salt Lake Community College. 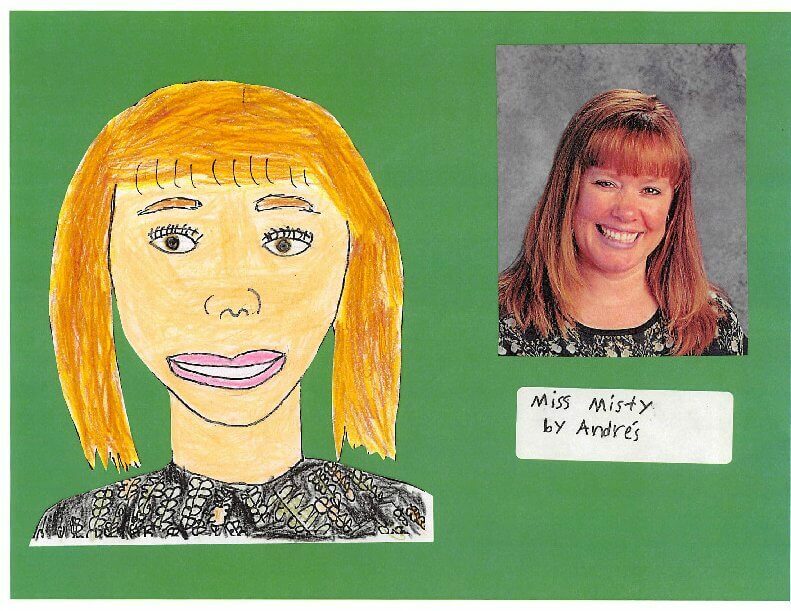 We are so glad to have Ms. Startup or Misty as we all like to call her at Entheos. 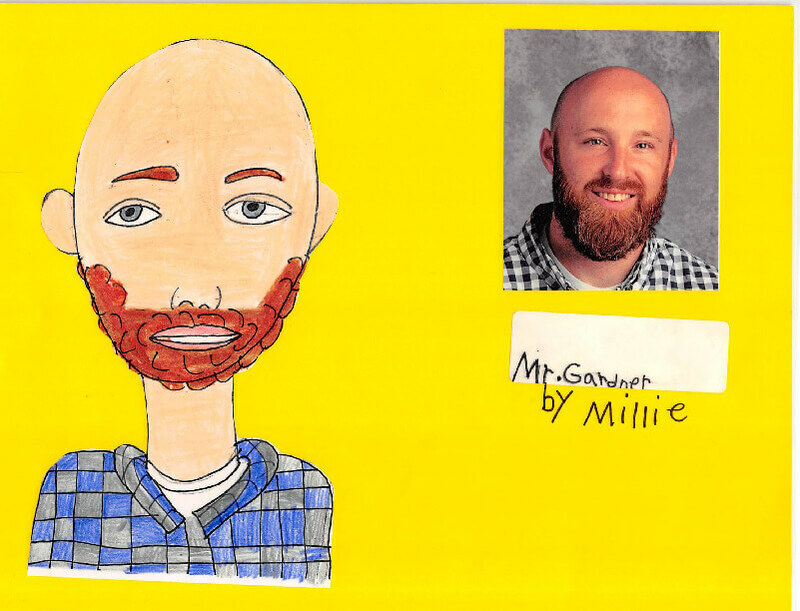 Mr. Gardner works at Entheos Academy. He is a Special Educator. He helps students who need extra help in school. His favorite Design Principle at Entheos is The Having of Wonderful Ideas. He likes this Design Principle because he likes being creative and trying new things. Mr. Gardner says that the thing he loves most about Entheos is how everyone works together. He likes to go running and play basketball. He says Resilience Break Through is his favorite book. Some day he hopes to travel to Italy for a vacation because he lived there for two years. He attended BYU. We’re so glad to have Mr. Gardner at Entheos. Ms. Melinda works at Entheos Academy. She sets up meetings and helps the teachers. Her favorite design principle at Entheos is: Empathy and Caring. This means to care for others and others care for me. She likes this design principle because she likes to help other people. She says that the thing she loves most about Entheos is She loves the teachers. She also likes to sing and listen to music. She says that The Goose Girl is her favorite book. Someday she hopes to travel to Hawaii for a vacation because she has never been there. It is important to make goals and follow your dreams. Ms. Melinda attended BYU. We are so glad to have her here at Entheos. Mrs. Tandiman works at Entheos Academy. She helps students with math and reading. Her favorite Design Principle at Entheos is The Natural World. This means nature is our teacher. She likes this Design Principle because she strongly believes that we can learn a lot of things when we are out in the natural world. Nature teaches us. She says that the thing she loves most about Entheos is that we all work together to learn. She likes to hike and read. She says that mystery books are her favorite books. Someday she hopes to go on a cruise for a vacation because she wants to go on a big boat. She attended BYU Hawaii. We are so glad to have Mrs. Tandiman here at Entheos. 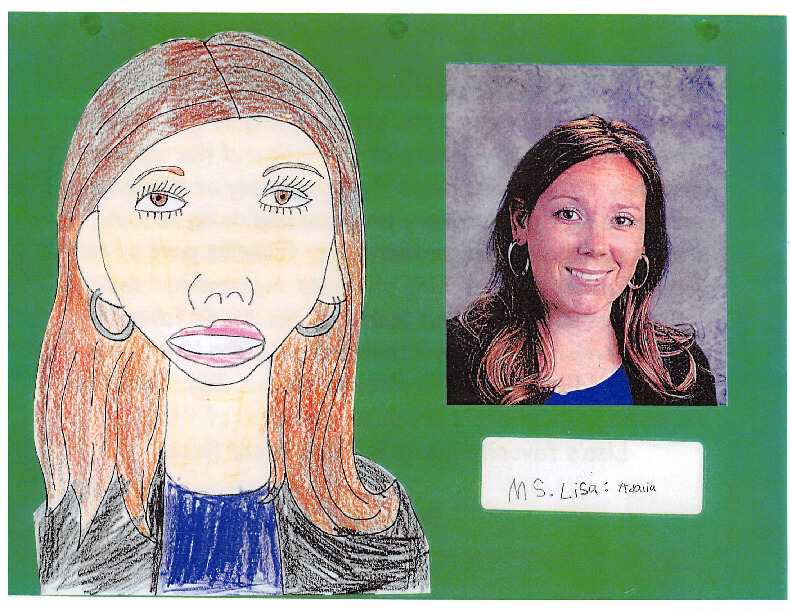 Mrs. Lisa Works at Entheos Academy as a Discovery Coordinator. She finds and organizes classes for Discovery and also directs the school musical. Her favorite Design principle is The Primacy of Self-Discovery. This means I am here to discover what I can do. She says that the thing she loves most about Entheos is fieldwork. She also likes to direct musicals for city councils. Her favorite book is Princess Bride. Someday she hopes to travel to New York for a vacation because she likes broadway. It is important to make goals and to follow your dreams. She attended college at Weber State University. We are so glad to have Mrs. Lisa here at Entheos. Ms. Denise Taylor works at Entheos Academy. She runs Discovery, organizes and teaches. Her favorite Design principle at Entheos is Collaboration and Competition. This means, we work together as friends, I compete with myself. She likes this Design Principle because she loves sports. Ms. Denise says that the thing she love most about Entheos is it gives children many opportunities to learn. She also likes to sew and baking. She says that her favorite author is Dr. Seuss. Someday Ms. Denise hopes to travel to Hawaii for a vacation because she has never been there. It is important to make goals and follow your dreams. She attended Golden West University. We are so glad to have Ms. Denise here at Entheos. Ms. Raegan Nielsen Works at Entheos Academy. She decides what’s for lunch and breakfast. Her favorite Design Principle at Entheos is Success and failure. This means, Success is sweet but mistakes are good food. She likes this Design Principle because We can’t succeed without failing first. She says that the thing she loves most about Entheos is Discovery. She also likes to Read. She says that To kill a Mockingbird is her favorite book. Someday She hopes to travel to Europe for a vacation because It would be fun to be on a vacation for a year. It is important to make goals and to follow your dreams. We are so glad to have her here at Entheos. Mrs. Shirley works at Entheos. She is the kitchen manager. She orders the food and cooks the food. Her favorite Design Principle is The Responsibility for Learning. It is her favorite because she likes to learn and help others learn. She says that the thing she loves about Entheos is being involved with the children. Mrs. Shirley also likes reading and making quilts. She says that James Harriot is her favorite author. Someday she hopes to travel to Brazil for a vacation because it is a beautiful place. Mrs. Shirley attended Ricks College. We are so glad to have Mrs. Shirley here at Entheos. 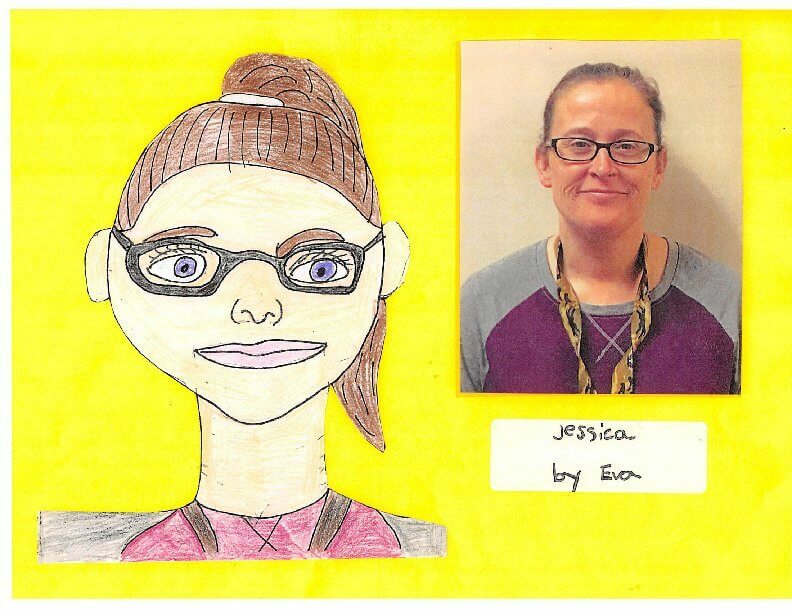 Mrs. Jessica works at Entheos Academy. She is a lunch lady. Her favorite Design Principle at Entheos is Empathy and Caring. This means I care for others and others care for me. She likes this Design Principle because she likes to help others in any way she can. 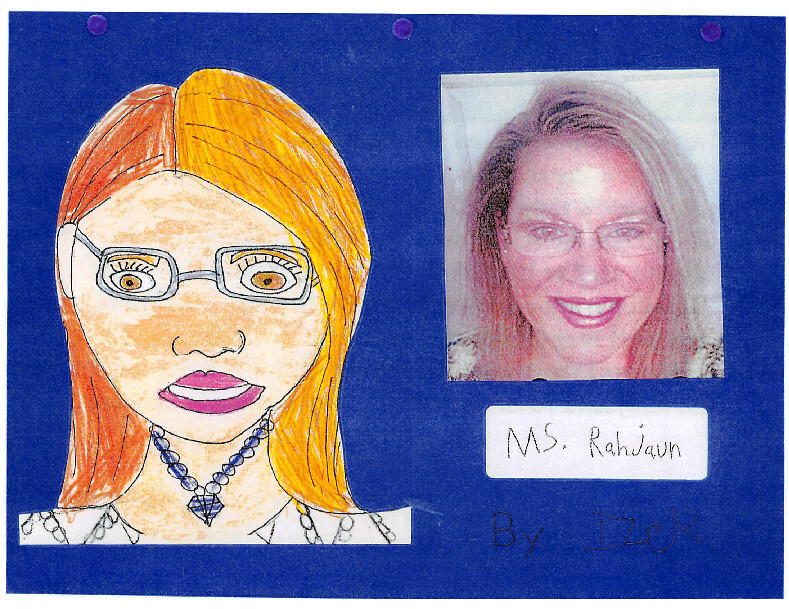 Mrs. Jessica says that the thing she loves most about Entheos is the friendly environment. Her favorite hobby is spending time with her family. She says that John Grisham is her favorite author. Someday Mrs. Jessica hopes to travel to Scotland for a vacation because she’d like to see the castles. Mrs. Jessica attended Hillsdale FWB College. We are so glad to have Mrs. Jessica here at Entheos. Violet works at Entheos Academy. Her favorite Design Principle is Empathy and Caring. This means caring for others. Violet likes this Design Principle because it’s important to care for others. What she loves most about Entheos is the people and kids. Her favorite hobby is camping. The Outsider is her favorite book. Someday she hopes to travel to Hawaii for a vacation because it is pretty. She attended graduated from Kearns High School. 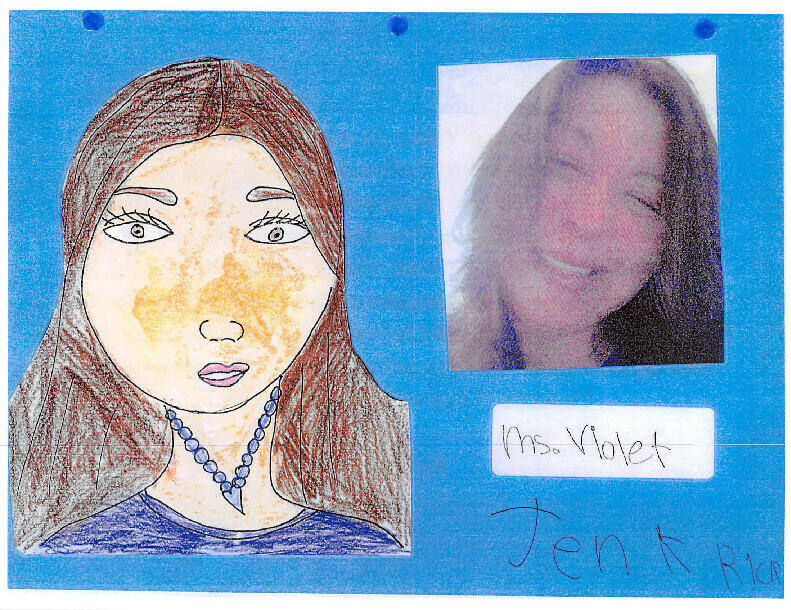 We are so glad to have Violet here at Entheos Academy. Rahjaun works at Entheos Academy. Her favorite Design Principle at Entheos is empathy and caring. This means I care for others; others care for me. Rahjaun likes this Design Principle because she really likes helping people. She says that the thing she loves most about Entheos is all the good kids. She also likes to go camping and fishing. She says her favorite books are scary and her favorite author is Stephen King. Someday Rahjaun hopes to travel to Hawaii for a vacation because there are lots of pretty flowers. It is important to make goals and to follow your dreams. We are so glad to have Rahjaun here at Entheos. 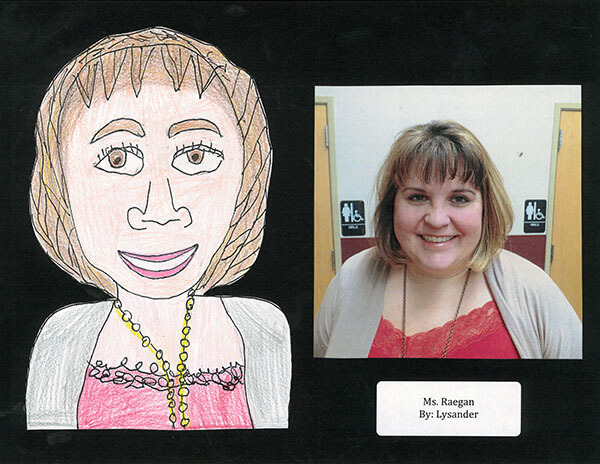 Mrs. Janey works as the EL School Designer. She helps school leaders know how to help kids learn and she also coaches teachers. Her favorite Design Principle is Empathy and Caring. This means I care for others and others care for me. Mrs. Janey likes this Design Principle because it is most important to be kind and help others. Janey says that the thing she loves most about Entheos is it is a safe place to learn. Mrs. Janey likes to travel to new places and she likes to read. Janey says that Number the Stars and the Giver by Lois Lowry are her favorite books. Someday Mrs. Janey hopes to travel to Fiji for a vacation because it is interesting and has cool beaches. 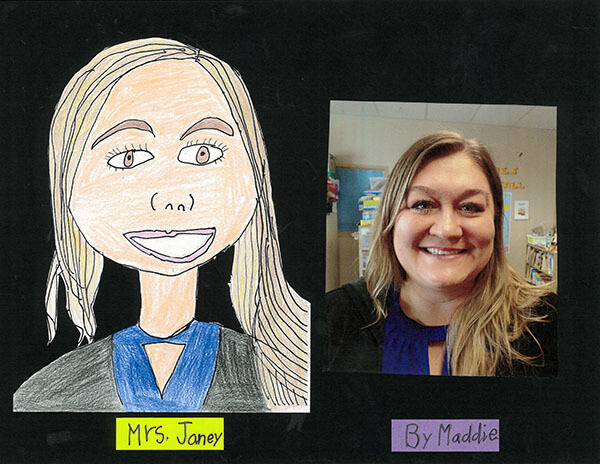 Mrs. Janey attended Utah State University and Boston college. We are so glad to have Mrs. Janey here at Entheos. Ms. McDaniel works at Entheos Academy. Ms. McDaniel works in the Library putting books away, checking books out for the students and doing fun activities for the students at Entheos. Ms. McDaniels favorite Design Principle at Entheos is Empathy and Caring. This means I care for others and others care for me. Ms. McDaniel likes this design principle because she likes taking care of family and others and she likes to be taken care of. The thing she likes most about Entheos is EVERYTHING! Ms.McDaniel also likes doing yard work, Shopping and Crafts. Her favorite books are anything written by Dr. Seuss. Someday Ms. McDaniel hoopes to travel to beach for a vacation because she loves the sunshine. It is important to make goals and follow your dreams. 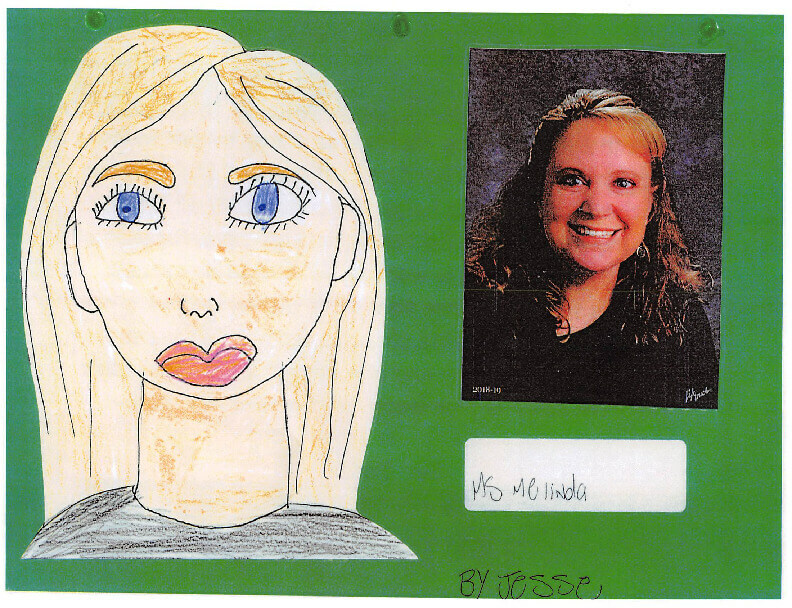 Ms. McDaniel attended Ricks College in Idaho. We are so glad to have Ms. McDaniel her at Entheos Academy. Mrs. Larsen works at Entheos Academy. She is a keyboarding teacher and helps with Service Learning. Her favorite Design Principle at Entheos is Diversity and Inclusion. This means our differences make us stronger. She likes this Design Principle because everyone is unique and makes the world a better place to live in. Mrs. Larsen says that the thing she loves most about Entheos is that she loves that all the students get a chance to learn their way. She likes to paint. She also likes to read books and watch scary movies. She says The Crown by Kiera Cass is her favorite book. Someday she hopes to travel to Italy for vacation because she wants to see all the buildings, art, and for the yummy foods. She attended Snow College. We are so glad to have Mrs. Larsen here at Entheos. Max Martinez works at Entheos Academy. He is our Maintenance Man. He fixes things at our school. His favorite Design Principles at Entheos Academy is The having of Wonderful Ideas and Empathy and Caring. He likes this design principles because he likes doing things for others. He says that the thing he love most about Entheos is the kids and the staff. He also likes to go fishing and camping. He says that his favorite book is the Bible. Someday he hopes to travel to Hawaii for a vacation because it is hot. It is important to make goals and to follow your dreams. We are so happy to have Max Martinez here at Entheos. Mrs. Ivie works at Entheos. 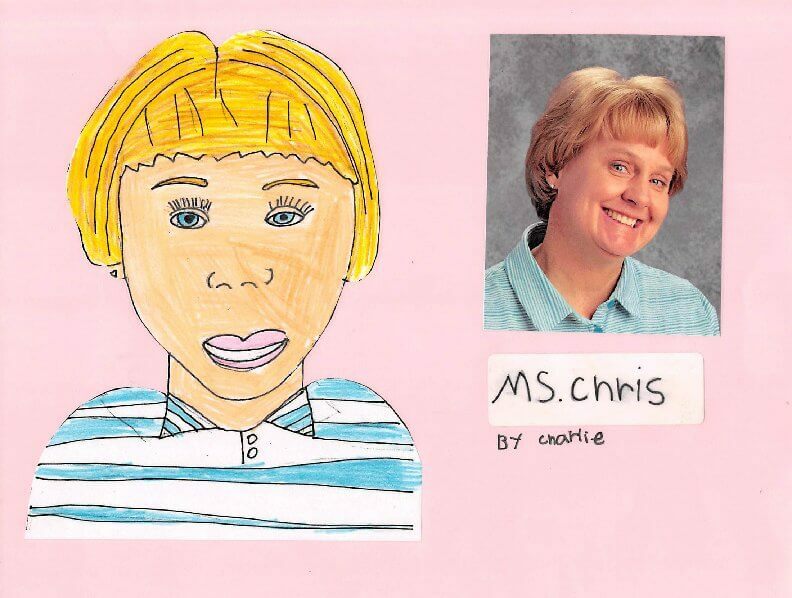 She is the service learning and after school administrator. She does fun activities and helps get more money by writing grants. She loves Entheos because everybody’s nice. Her favorite Design Principle is Empathy and Caring. This means, I care for others; others care for me. She likes this Design Principle because it is important to learn reading, math, and science but it is just as important to learn to be kind to others. 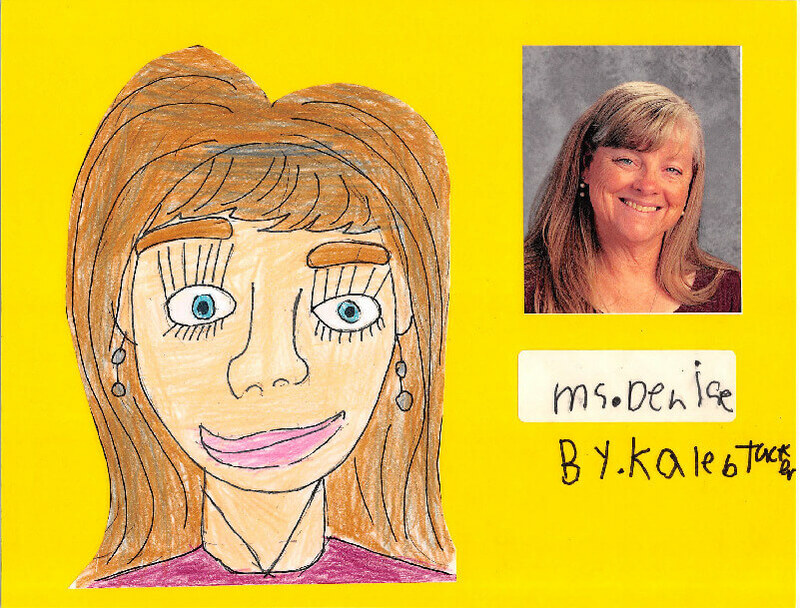 Mrs. Ivie’s favorite hobbies are reading and doing things with kids. Her favorite author is Charles Dickins, C.S. Lewis, and Sara Eden. Her dream vacation is to visit some old cities back east to learn more American history. She went to BYU and has a Master’s Degree. We are so glad to have Mrs. Ivie here at Entheos. 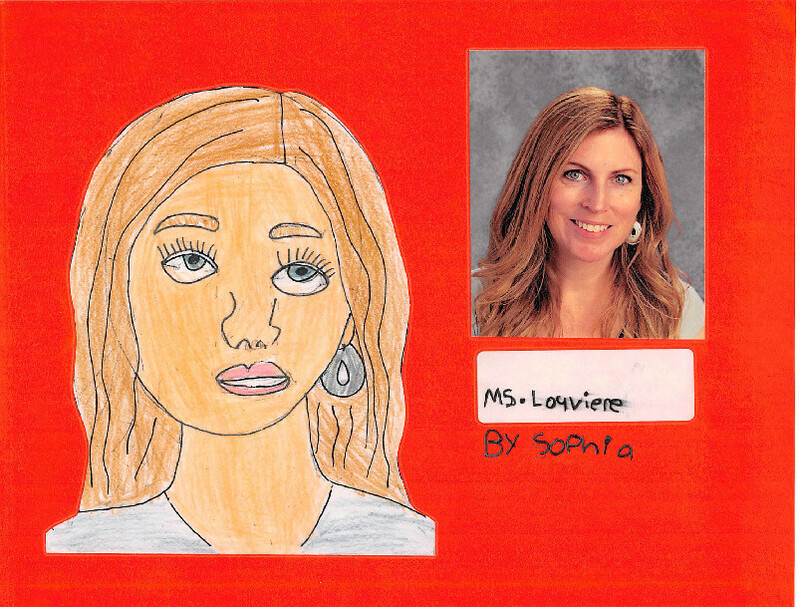 Ms. Louviere Works at Entheos Academy. Ms. Louviere’s favorite Design Principle at Entheos is service and compassion. This means we do excellent things for others. She says if we think about and help others there wouldn’t be fighting, sadness or people who are lonely, hungry or hurt and I love that my kids can learn hands on and learn how to be leaders and make a difference in the world. She says that the thing she loves most about Entheos is reading. She also has too many books to narrow it down to a favorite but she does like JK Rowling’s writing style. She hopes to travel anywhere she can experience cool new adventures and see things that amaze her. It is important to make goals and to follow your dreams. She attended Ricks College and Utah State University. We are so glad to have Mrs. Louviere here at Entheos. 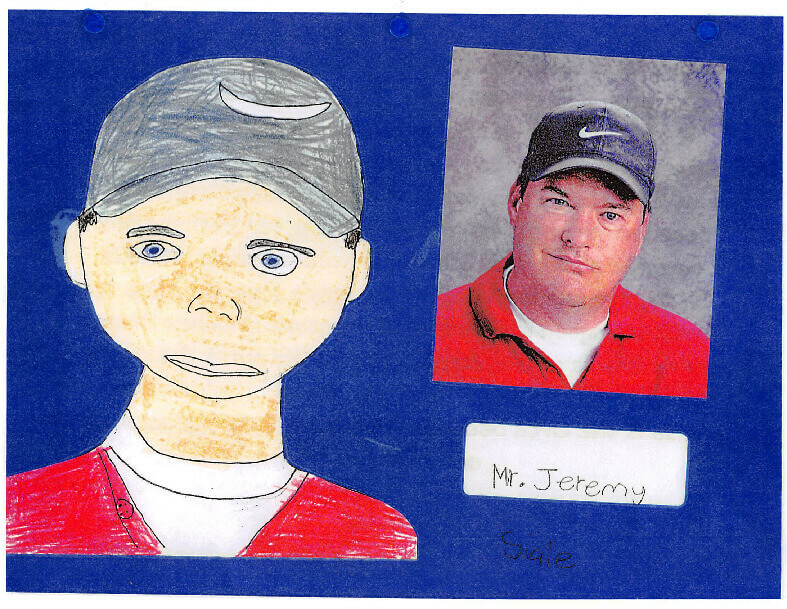 Mr. Jeremy works at Entheos Academy. He is the bus driver and maintenance coordinator. His favorite Design Principle at Entheos is Service and Compassion. This means, we do excellent things for others. He likes this Design Principle because when you are serving and helping others you forget yourself. He says that the thing he loves most about Entheos is that students are able to do things differently. Mr. Jeremy likes camping, watching his kid’s activities and sports. He says that Charlie is his favorite book. Someday he hopes to go camping for a vacation because he wants to spend time with his family. He attended the Certified Careers Institute. We are so glad to have Mr. Jeremy here at Entheos. Miss Ashtyn works at Entheos Academy. Miss Ashtyn works with kids. Miss Ashtyn’s favorite Design Principle is Failure-Success. This means when you fail you can learn how to succeed. What Miss Ashtyn loves about Entheos is how everybody is kind to each other. Her favorite hobby is to read. She says her favorite book is Harry potter. Miss Ashtyn says her dream vacation is to go to Disneyland because it is the Happiest place ever. She attended BYU. 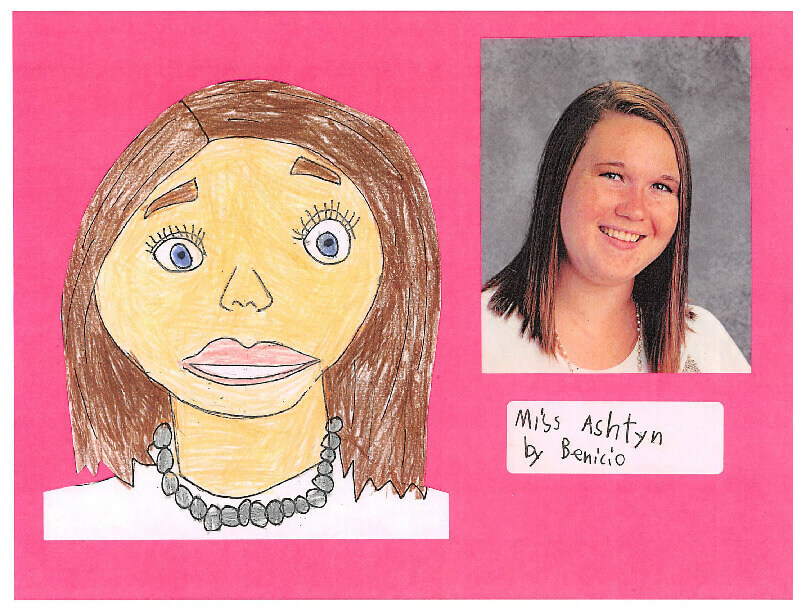 We are so happy to have Miss Ashtyn here at Entheos Academy.